How Do We Ensure Our Promise to You? The reason EQ2 is the right choice for biomedical and facilities everywhere is because of our unparalleled commitment to our clients. Our Implementation Services Team supplies solutions beyond the new software. We provide professional training and offer technical assistance from the first time we meet and for the lifetime of our products. From designing custom reports to creating an entire Smoke and Fire Compartment Program, we bring you a team of talented and dedicated professionals who are trained to get you up-and-running. Have you wondered just what “ROCOF” stands for, or how to setup an Environmental Zone Program? Have you ever needed help in setting up your Best Practices or Standardizing List information tools? The EQ2 Services Team removes these mysteries and leaves you in charge of your own system. Our Implementation Services can provide numerous benefits to both your Biomedical and Facilities operations; here are some printable details about our Implementation Services for Facilities: click here. Standard Facility and Biomedical Equipment lists by type, Manufacturer, and Model – EQ2 provides its customers with a comprehensive set of Standard Equipment lists so you don’t have to start from scratch as you start your new HEMS Enterprise System. And EQ2 provides the current ASHE Standard Preventative Maintenance lists for both the Biomedical and Facility Department Managers. EQ2 provides expertise in setting up either a Biomedical or Facility Management Equipment Inventory that is based on either equipment type, the manufacturer, or a particular model. By using these tools you need never to worry about assigning risks and scheduling inspections as you enter new equipment into the Equipment Inventory. HEMS Enterprise is preprogrammed to assign the risk and PM each time you add a piece of equipment or a tool. Stop wondering whether you have horizontal or vertical penetrations of your smoke and fire compartments. With EQ2’s Smoke and Fire Compartment Program you can rest assured that these safety compartments have been scheduled for inspection and that they pass that inspection. To satisfy a Fire Inspector who asks you how you maintain your smoke and fire compartments, just call up your EQ2 HEMS Smoke and Fire Compartment visual diagram onto any screen in your Department to confirm both the compliance and your organization’s dedication to safety. JCAHO requires that all critical areas of the hospital be inspected semi-annually, and so-called non-critical areas annually. 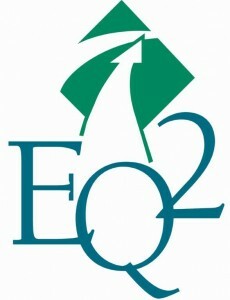 EQ2 provides a clear and concise, graphical definition of your environmental areas along with their inspection schedules. Our experts design a PM program based on the census of actual manpower you have available. Don’t begin with some PM plan that stretches your personnel resources one month and then leaves technicians idle the next. Instead, take advantage of the dozens of years of experience EQ2 has in deploying successful systems in many, varying health care institutions. To start this process, EQ2 hands-off a completely Customized Guide to Your Department Managers, based on the needs of your organization and your resources. Best Practice Publishing (BPP): If your enterprise is made up of several departments, spread across several localities or states, face-to-face meetings to discuss changes to the equipment management program can cost you valuable time, and are often difficult. The solution? Let EQ2’s BPP experts set up a Best Practice Service Area for you. Once this service has been set up, the Area acts as the shared repository of Best Practices for your entire enterprise. Each Service Area subscribing to this area automatically receives the most recent and approved versions of the Best Practices that have been published in the BPP area. New information is marked for review as soon as it is added to a Service Area by the broadcast of an email, to all BPP Area manager(s). With a click, the Area manager can review and approve the new information, request clarification or additional information, all without picking up the phone or wasting the staff’s time. Custom Report Generation – Whether your Department needs an especially tailored Report that can be posted on EQ2’s Web-enabled Dashboards or on your desktop, or on your Pocket PC is your choice. You can also schedule the automatic presentation of Reports for your accounting department. EQ2’s expert designers are always ready to generate the Reports that you need. Along with doctors, nurses and technicians, hundreds of devices support the delivery of efficient, high quality care to each patient. Our implementation services constantly keep track of the progress of your organization’s transition to our software and help you every step of the way. Our job is to make sure that your organization experiences the immediate benefits of using our software to make a difference for you, your leaders and your customers. We help customize your experience with our products to make the most of them. Every organization has unique needs, so we carefully work with your entire interdepartmental team and support you one-on-one. We’ll figure out the most efficient way to set up a solution for your healthcare facility so that everything goes smoothly. Our professional, helpful team will work carefully to ensure that you can optimize all of the benefits of your EQ2 product from installation to complete integration. A better, more efficient, and intuitive workplace in just a few clicks away. Click Here to take your business to the next level.